How many Gentlemen (or Ladies) have ever wanted to send a letter like that one, I wonder? ROFLMAO. best divorce letter evs. Or is it only a copy of the original??? 1) Never a good idea to admit that you’ve cheated before the divorce is final. Looks real bad in court. 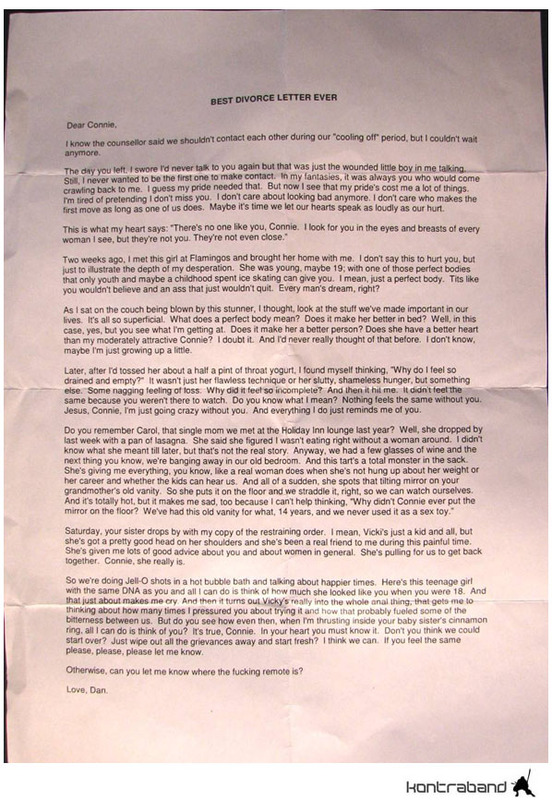 3)As noted, why would put “Best Divorce Letter Ever” at the top? 4)They’ve been married 14 years but she has an 18 year old sister. That’s an age different of 14 yeas between siblings. Not impossible, but uncommon. 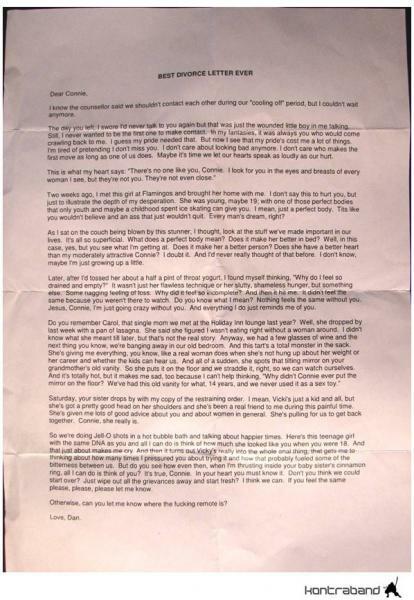 5)The letter would presumably have been sent to Connie. Why would Connie post it on the Internet? Old. Saw that picture months ago.